Walking around London with no particular destination is always a treat for me. The sights, the sounds, the people. I loved days when I had no fixed plans and could wander about. It wasn’t the case on this visit. With only four days in the city, we decided to re-visit as many of our favorite places and see as many friends as we could. That left little time for meandering. Much as I enjoy doing my own research regarding the history of London, it’s always nice to go on a guided walk with one of the many, extremely knowledgeable and entertaining London Tour Guides. I’ve been on numerous London Walks which were all very pleasant and I learned a lot when we first moved to London. 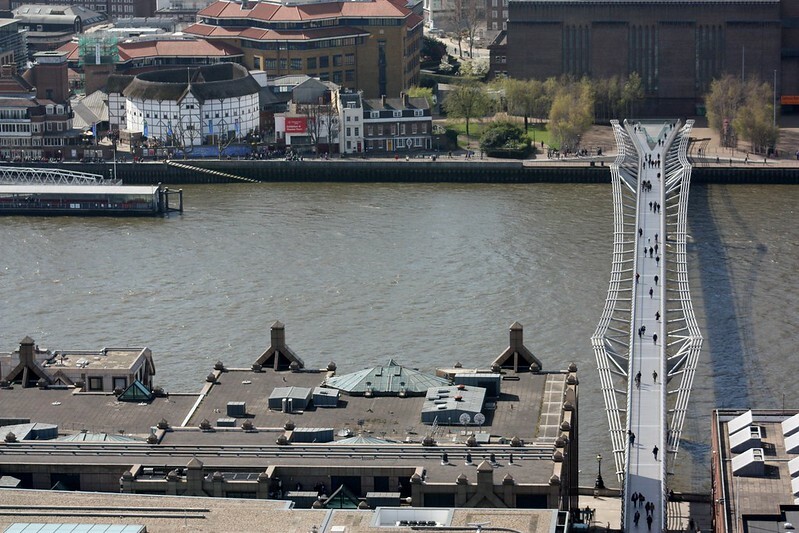 London Walks cover the basic history of a particular area and it’s mainly for those just visiting. For our return visit, I felt I’d outgrown the basic walks and wanted something more in-depth. A tour the locals would prefer. 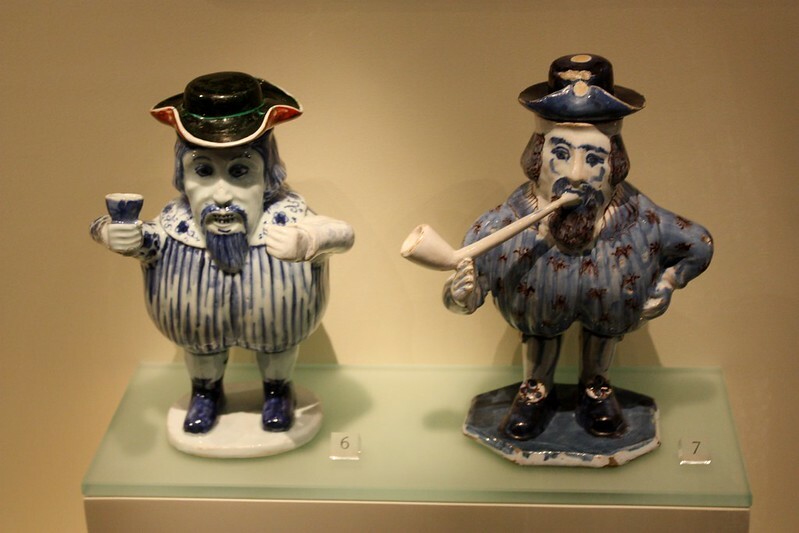 Having followed Mark Rowland’s blog for over a year, I was thrilled when I read about his walk entitled The Gentlemen’s clubs of St James’s: Victorian London’s LinkedIn. It’s offered through Footprints of London. 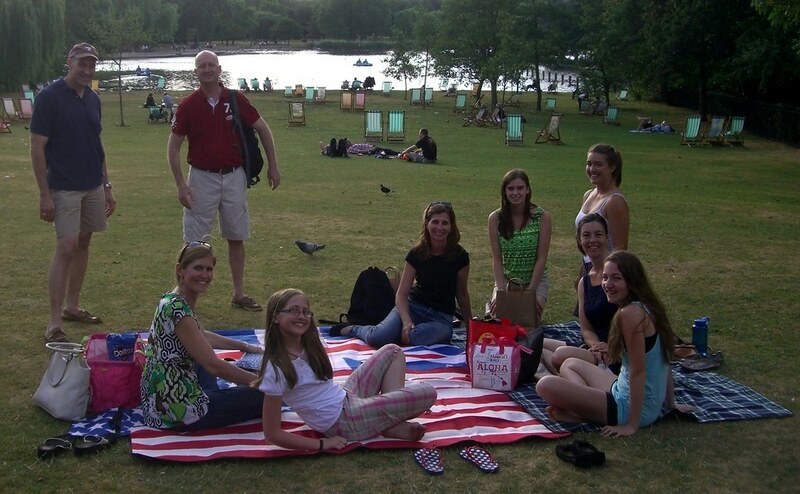 We linked up with Mark in Green Park at 7 pm then went on a very thorough and interesting evening walk through Mayfair. He intertwined stories of these men’s clubs and how important they were for upper class networking. White’s Chocolate House was opened in 1698. Anyone could frequent it so long as they could pay a small fee. 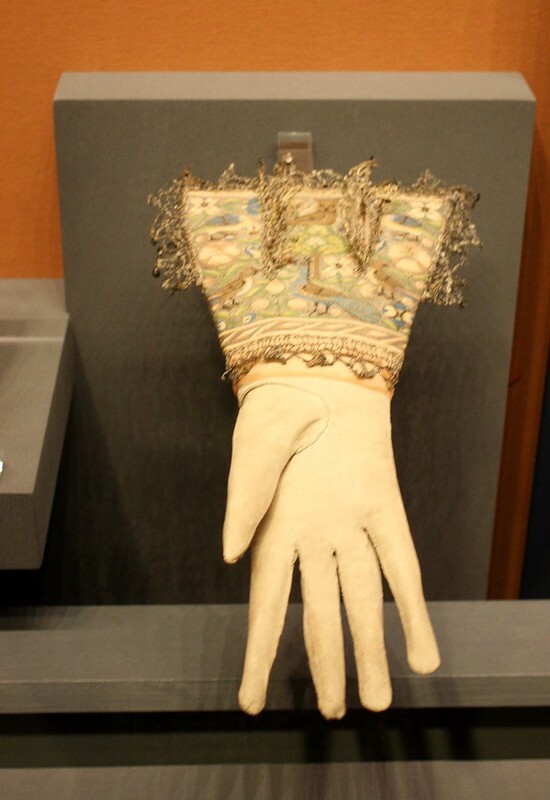 But by 1736, White’s owner realized it was much more lucrative to cater exclusively to the aristocratic men. These men would meet to discuss politics, world events and, of course, gossip. White’s became a members only club with a very long waiting list. There was an awful lot of decadence happening behind the beautiful facade. 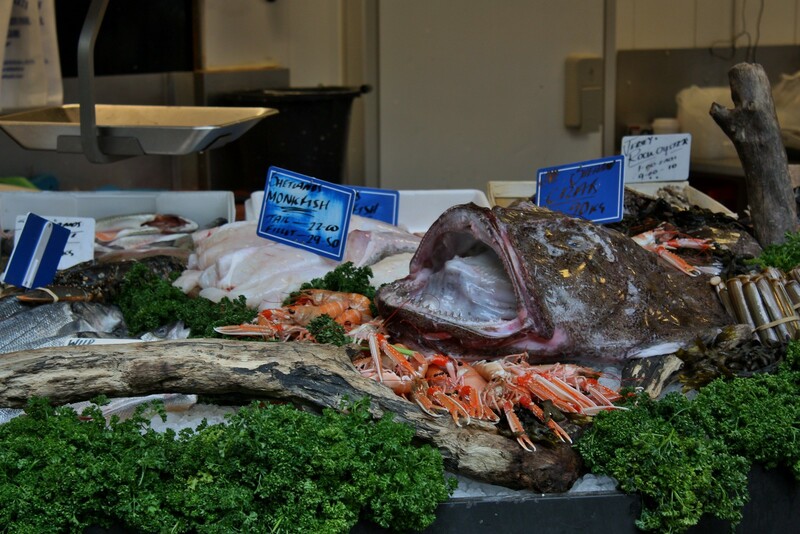 Its members have always been the power brokers of Great Britain but White’s is also legendary for being a den of gambling, gossiping and conspicuous consumption. There’s a betting book which archives bets placed between 1743 to 1878. 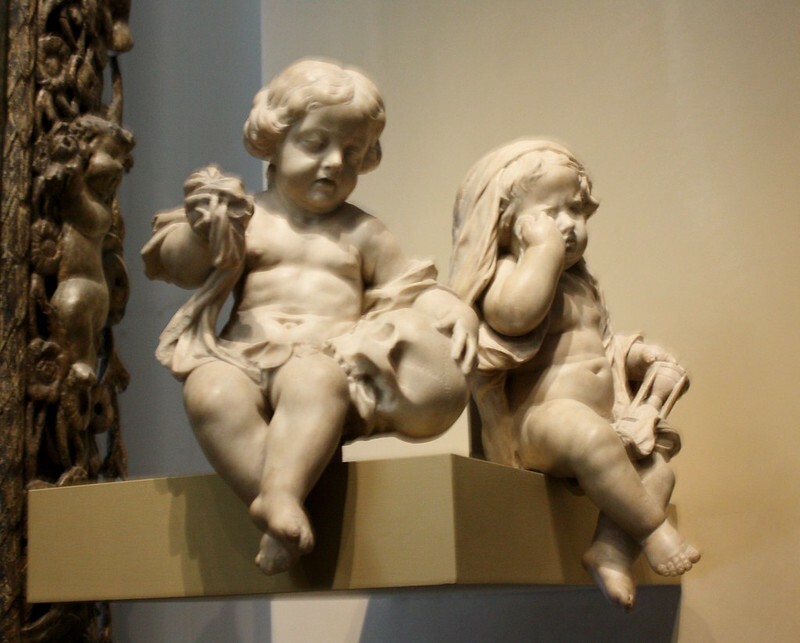 These wagers (and we’re talking about thousands, sometimes hundreds of thousands) were placed on everything ~ sometimes morbid bets such as which celebrities would die first; personal bets as to length of pregnancies; and, as Mark told us, even a bet as to which of two raindrops would reach the bottom of the window pane first. Obviously men with way too much time and money on their hands.The betting lead to financial ruin for many. To this day, White’s is an extremely exclusive club ~ there are 500 members, men only and a nine-year waiting list. Queen Elizabeth II is the only woman to have visited and that was back in 1991. 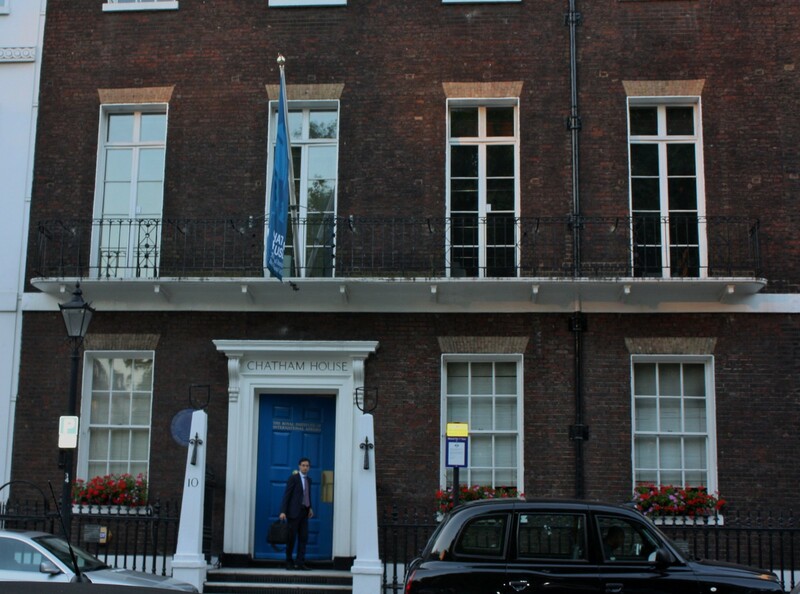 My favorite was the very respectable Chatham House. Membership consist of people and organizations interested in international affairs. Membership includes business leaders, academics, diplomats, the media, non-governmental organizations, policy-makers and researchers. It is ranked as the 2nd top Think Tank worldwide (Brookings Institute is #1). 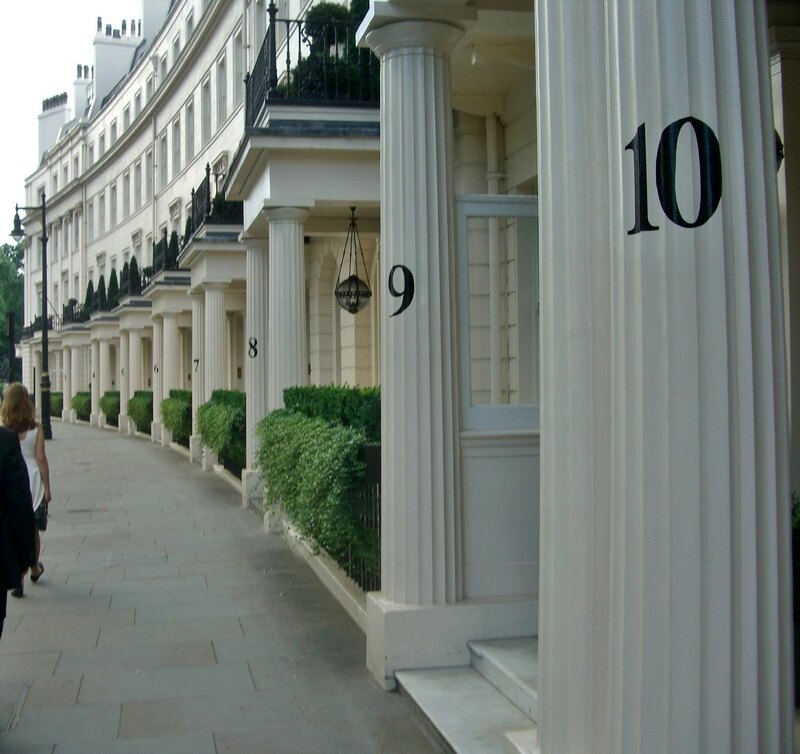 If you’re able to partake in one of the Footprints of London walking tours, you won’t be disappointed. Click here for additional information and to pre-book your tour. There are several walks I’d love to go on and they will definitely be on the agenda next time we’re in London. London: Oh, so good to be back! It was such a comforting feeling of familiarity as we drove closer and closer to London. We returned the rental car at Heathrow and caught the tube to Baker Street where we rented a two-bedroom flat for our four nights in London. We stayed in the same flat when we left London last year. 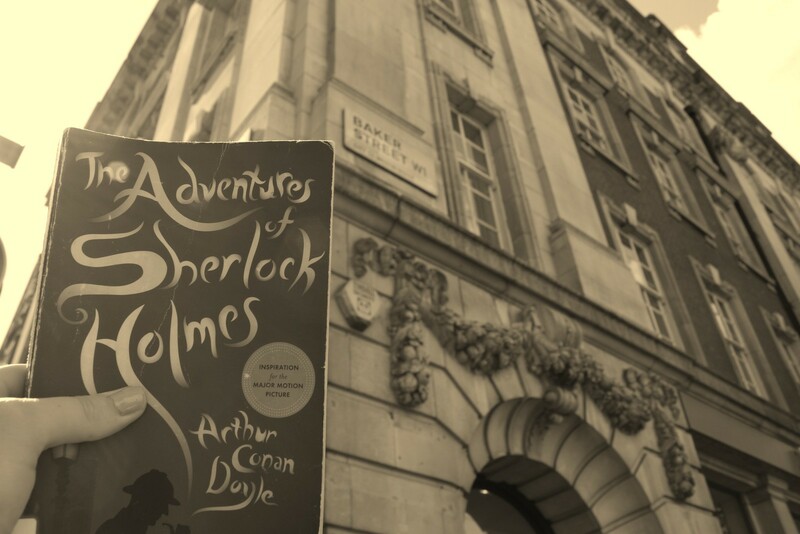 Baker Street was a perfect location for us ~ the tube stop and bus stop were basically outside our door. Sunday and Monday were reserved for John’s graduation from Kings College and for reconnecting with friends. 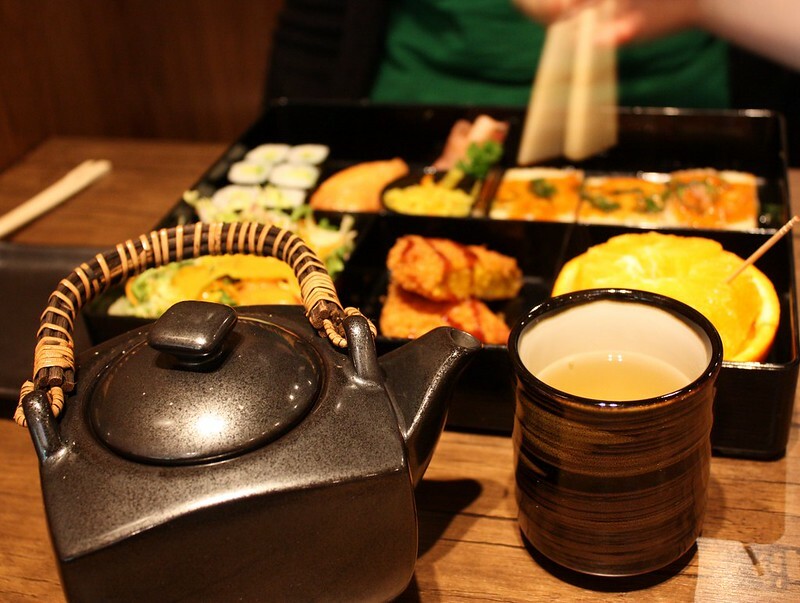 On Tuesday, we went back to one of our favorite restaurants in all of London. 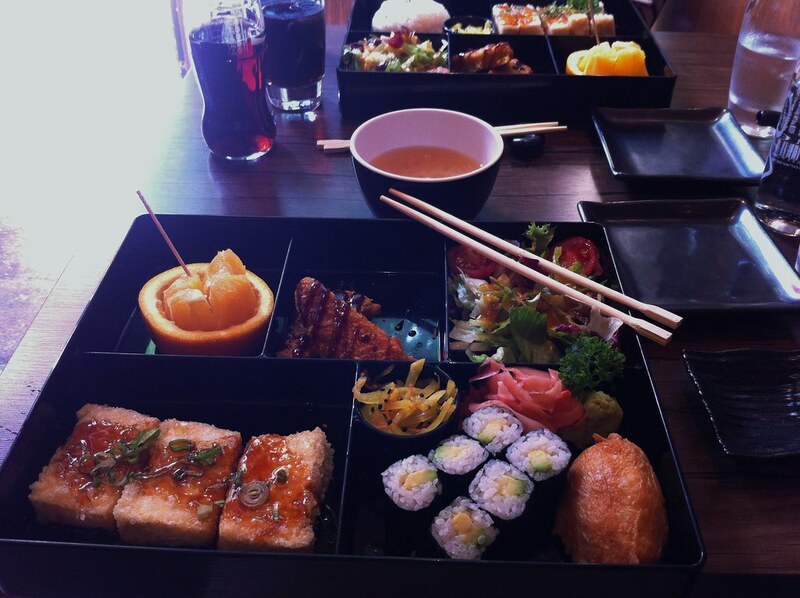 We ate lunch at Maguro in Maida Vale. So delicious! 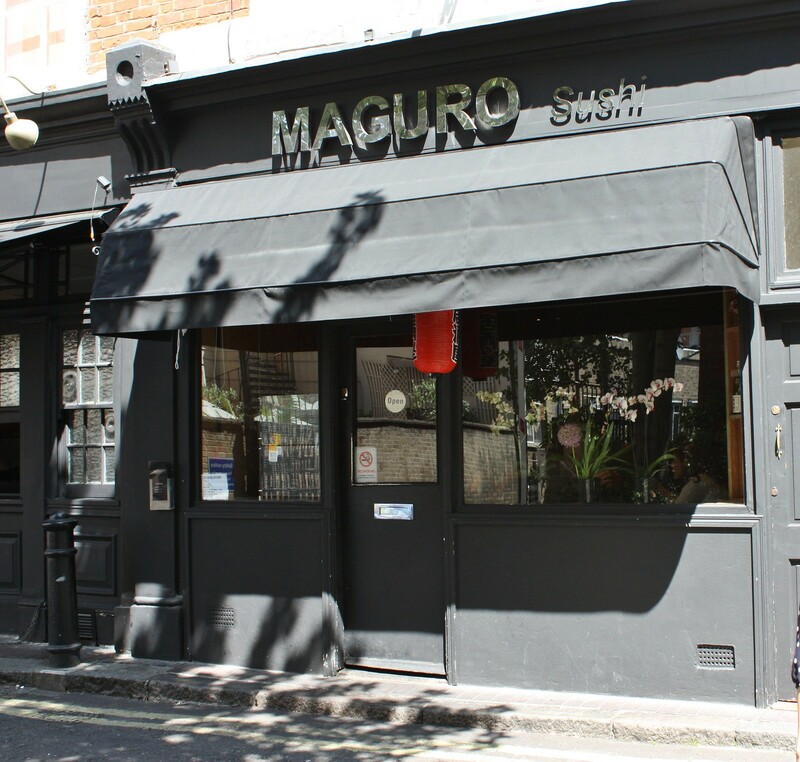 If you find yourself in London and have a hankering for Japanese food, I highly recommend Maguro at 5 Lanark Place, W9 1BT / TEL 020 7289 4353. 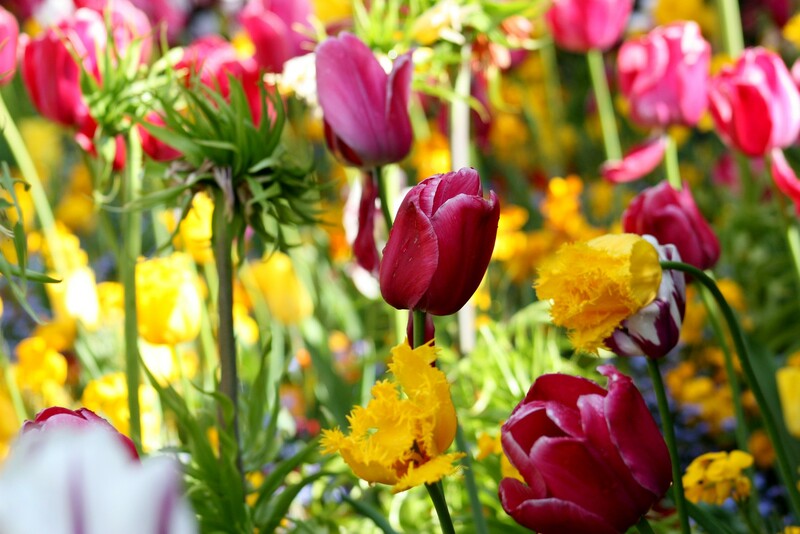 It’s an easy walk from the Warwick Avenue tube stop (Bakerloo Line). Click here for more info and the menu. They do take-out and it’s a great meal to take to the park for a picnic. Another must was an appointment with Michael at Electric Hair. He does it all ~ color, cut, style. Logan and I both got hair cuts & Styling. Loved it! 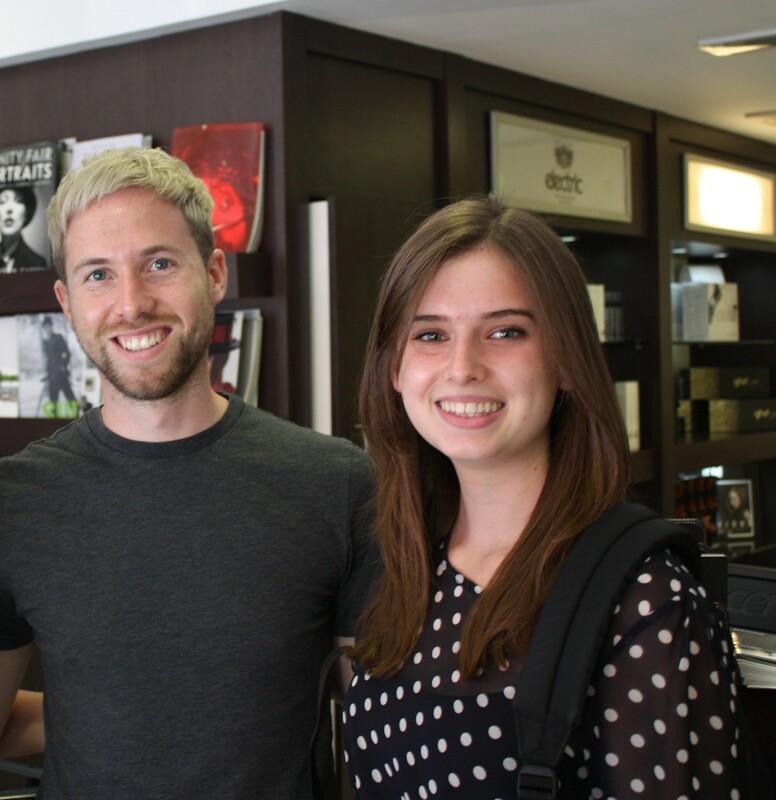 If you’re traveling through London (or lucky enough to live there) and are in need of some hair care, Michael is fabulous and can be reached here. Now if I could only figure out how to get back here every few months for another appointment. Up Next: A two-hour guided walk that I’ve been planning for almost a year! Hint: it lived up to all the hype and more. I’m a big fan of Pub Quiz or as they call it here in the states: trivia night. I’ve written about it before here. 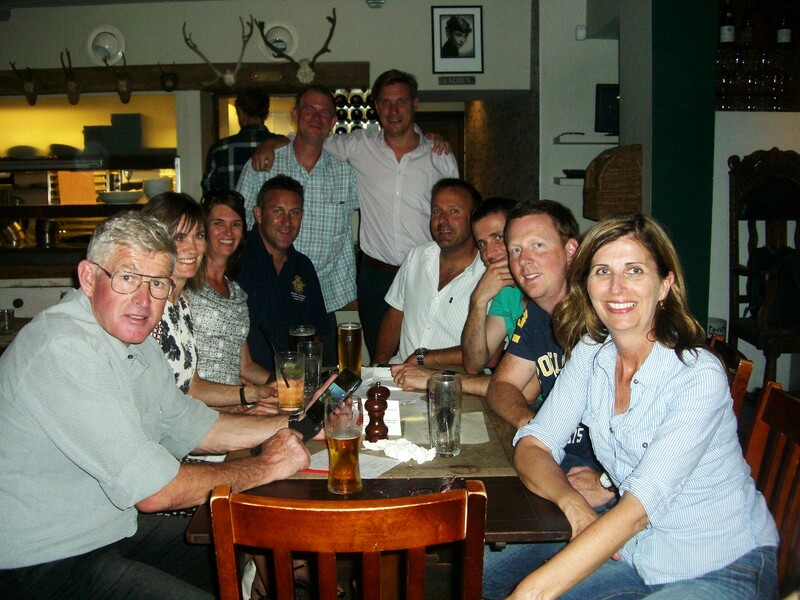 We got started in London, going to different Pub Quiz nights in St John’s Wood but ended up becoming “regulars” on Sunday evenings at the Prince of Wales Pub at 138 Upper Richmond Rd, Putney. They have a fun quiz master (Alex) and our team consisted of all New Zealanders and the two of us. Fun times ~ great memories! Since moving back to Virginia, we’ve tried to keep up the tradition of Pub Quiz night and our friends found a great one at The Flying Fish in Alexandria. 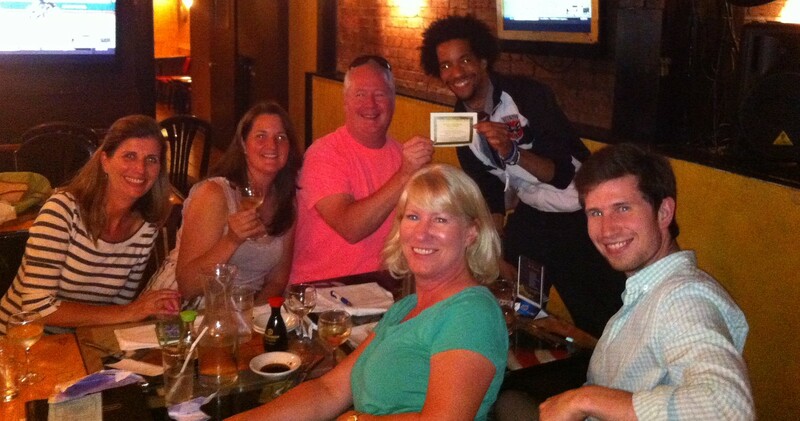 The quiz takes place in the lower level and they offer great happy hour specials on both food and bottles of wine. It’s an evening with good friends, yummy food, and I really like the quiz master/DJ (Don) as well. More good times ~ great memories! Our team finally won FIRST PLACE for the first time ever!! First place includes a $50 credit for future food/drinks at the Flying Fish. Lucky for us we have a sports expert (thanks Joe) on the team which is essential. My advice if you go to a Pub Quiz (Trivia Night) is take scratch paper and extra pens so you can write down the answers so the other teams don’t hear your answers. Be prepared to tuck your phone/ipad/etc out of the way ~ cheaters are frowned upon. The weather in Northern Virginia has been foggy (yesterday) and rainy (today). It’s a great time to write about London and our last day in the UK. With all I’m planning, we’ll have no time for sleeping! We can always sleep on the way home (well, at least John can ~ I’m a stay awake on the plane kind of person). One thing I’d love to do but will have little no chance convincing John and Logan to join me: the Mad Hatter Tea at the Sanderlin. It’s a whimsical Alice in Wonderland inspired afternoon tea which sounds fabulous. This will stay on the to-do list for when I’m on a solo trip to London. 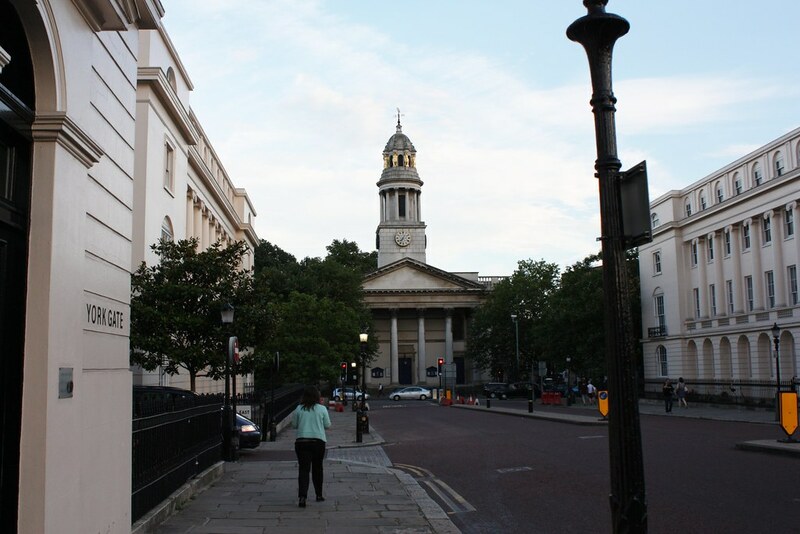 When we lived in London, I went on numerous London Walks tours which I thoroughly enjoyed. On a couple of the walks they would point out the Gentlemen’s Clubs of years past. 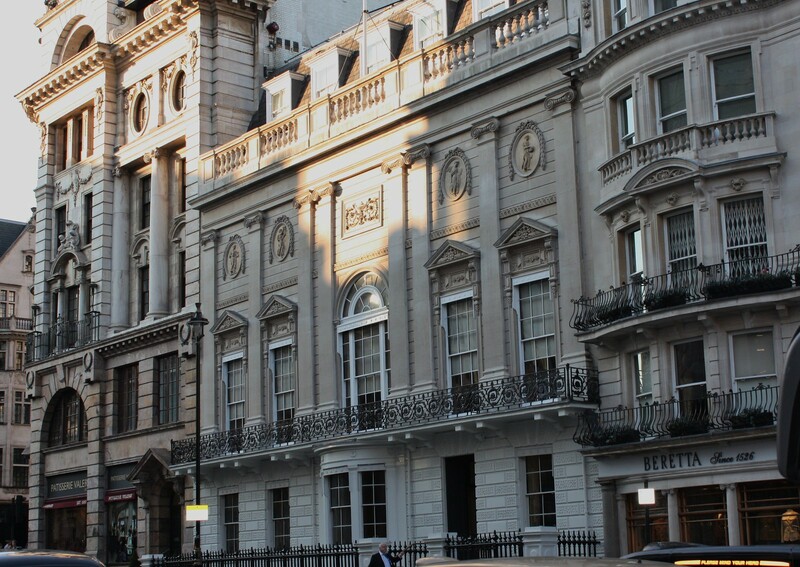 Having been teased about those clubs, I’m very intrigued with Mark Rowland London Ramblings tour “The Gentlemen’s clubs of St James’s: Victorian London’s LinkedIn ” and I’ll definitely be booking the walk as soon as his July schedule comes out. 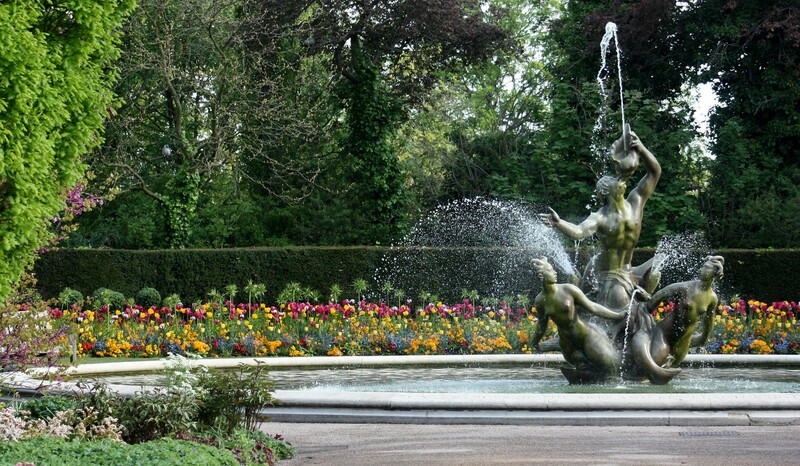 Then we’ll head over to Regents Park for lunch with friends. 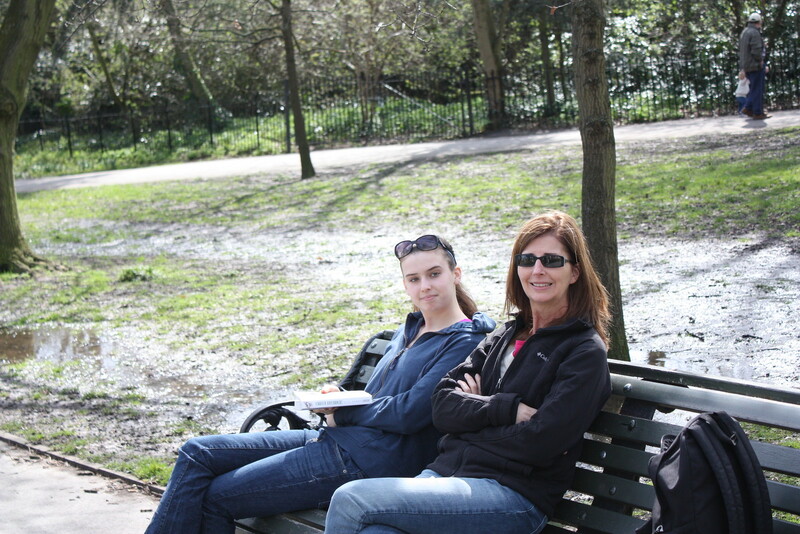 We had a picnic in the Regents Park on the day before we flew back to the states. 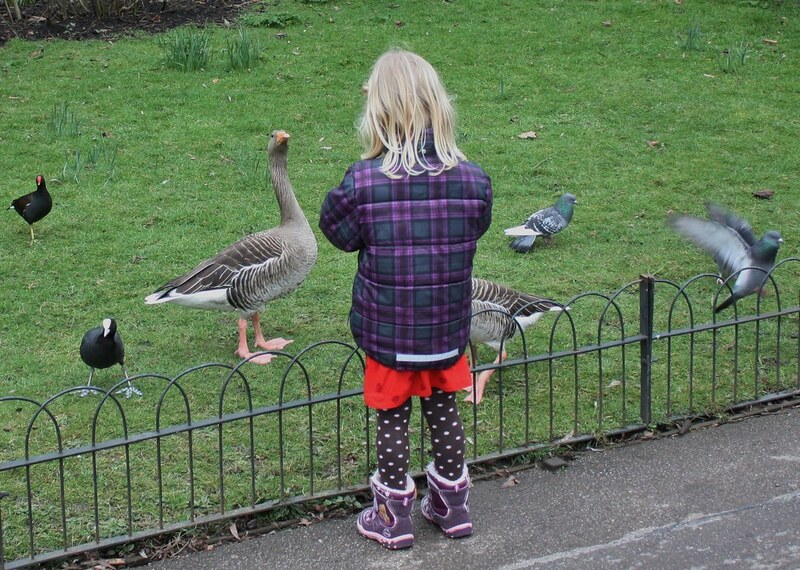 We grabbed a couple of sandwiches from Pret a Manger and met up with friends in the park on what was one of the nicest weather days we’d had all year. We were witness to a proposal while we had our lunch ~ very romantic of them. We still have the “last” evening in London ~ the vote from the rest of the family is to spend the rest of the day in Covent Gardens for dinner and a West End show. Now to decide which show and which restaurant. 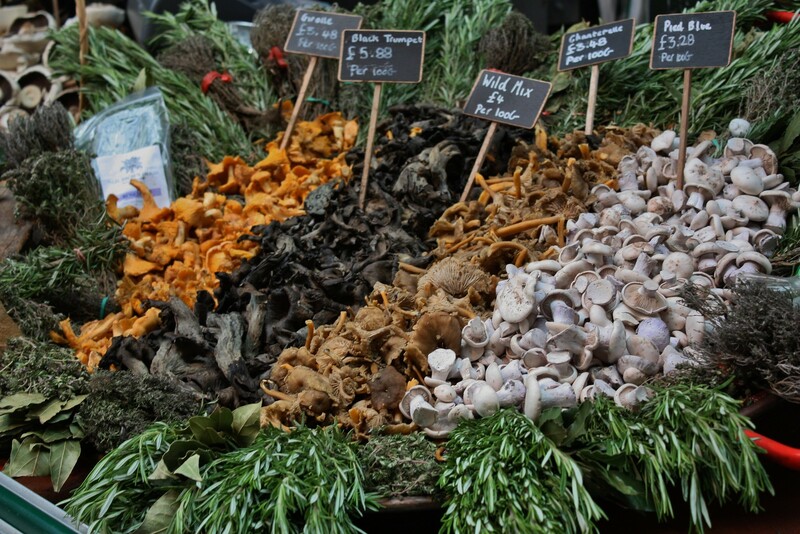 Any recommendations for a vegetarian friendly but will still appeal to a meat-eater kind of restaurant? Last summer, I attended The Taming of the Shrew at Shakespeare’s Globe theater. The all-women cast did an excellent job, but the storyline is not my favorite of the Shakespeare plays. I would love to see Much Ado About Nothing but it’s not playing until April 2014. 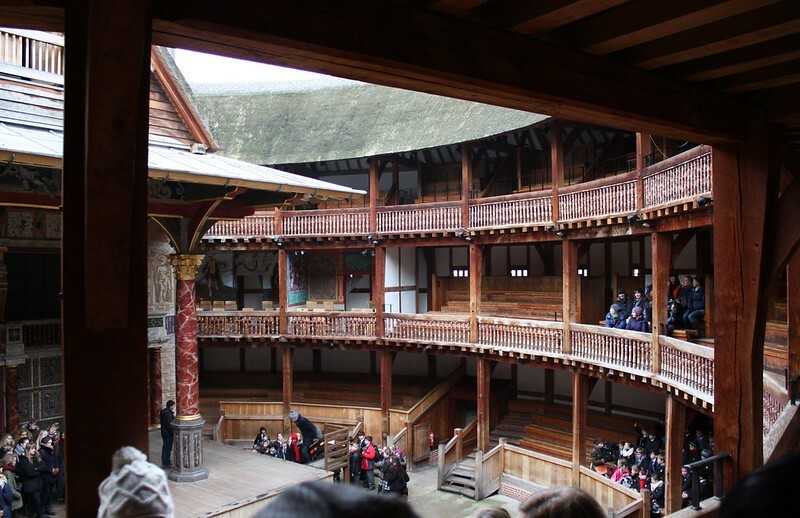 In any case, I was thrilled to see a play with fantastic actors at the iconic Globe theater. Shakespeare’s Globe is a fabulous building with an interesting history. It’s located a few hundred yards from its original site. The building itself is as true to the original as they could surmise since there was next to nothing left of the original. The rebuilding of the Globe came about through the efforts of the American actor and director Sam Wanamaker. 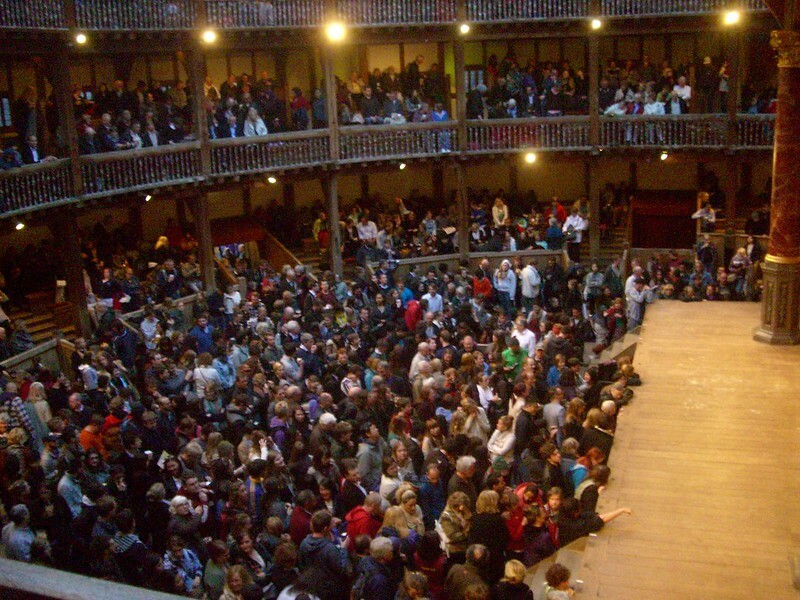 He founded the Shakespeare’s Globe Trust which reconstructed the theater. 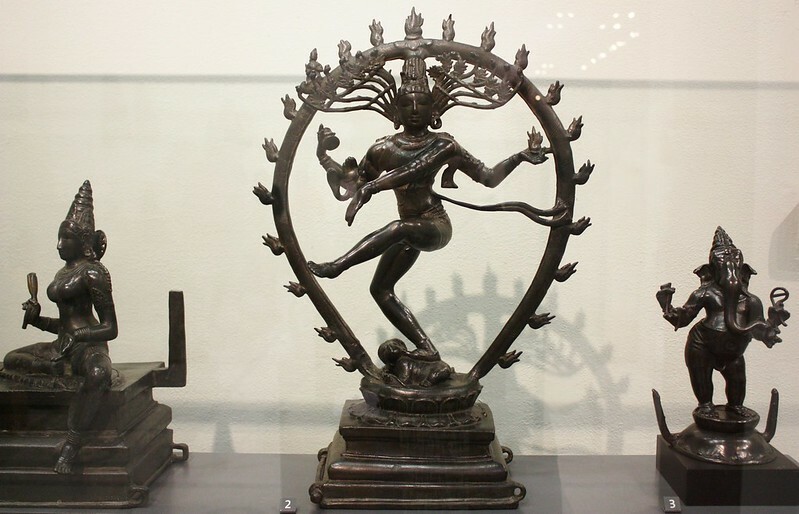 The foundation is also responsible for the education center and permanent exhibition. 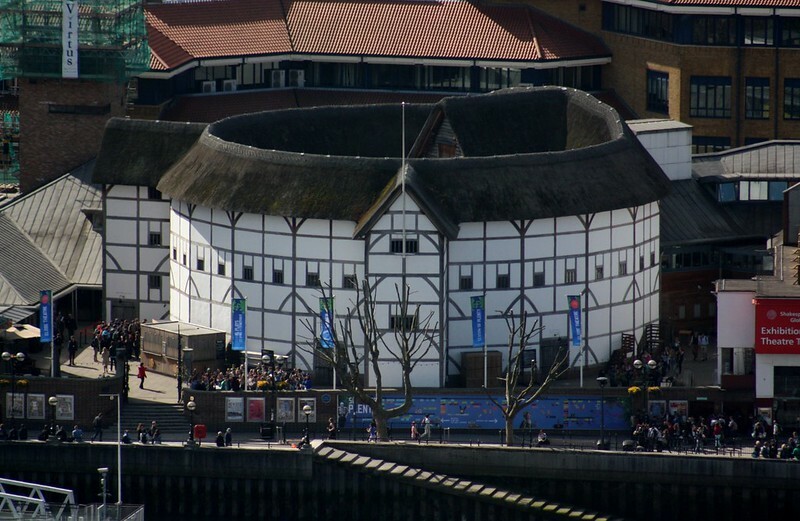 Thanks to Sam Wanamaker, there’s a beautiful and historic theater in a fabulous location (Bankside) in London. Even if you don’t get a chance to see a play there, go for a tour. 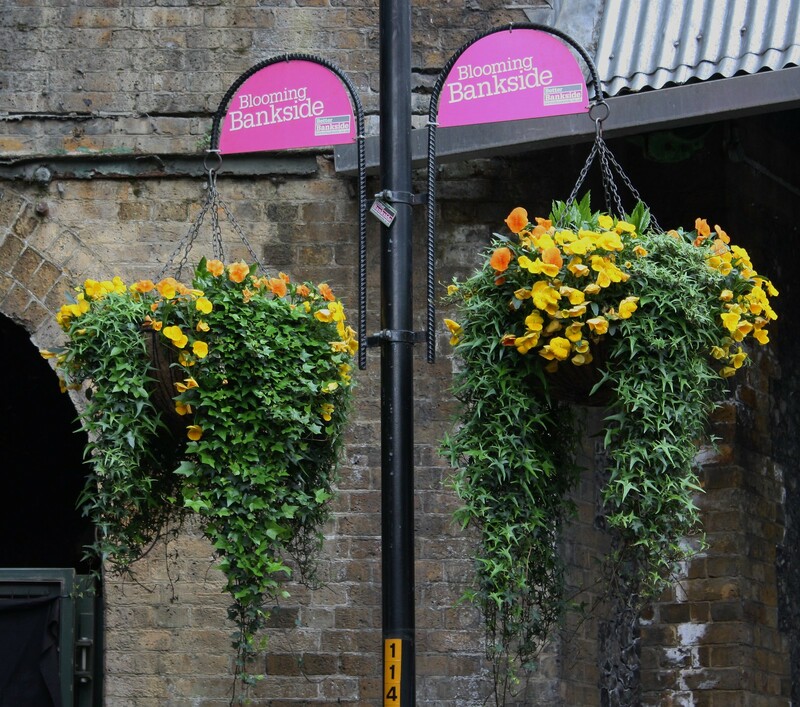 Borough Market is about a 5-minute walk from the Globe Theater. 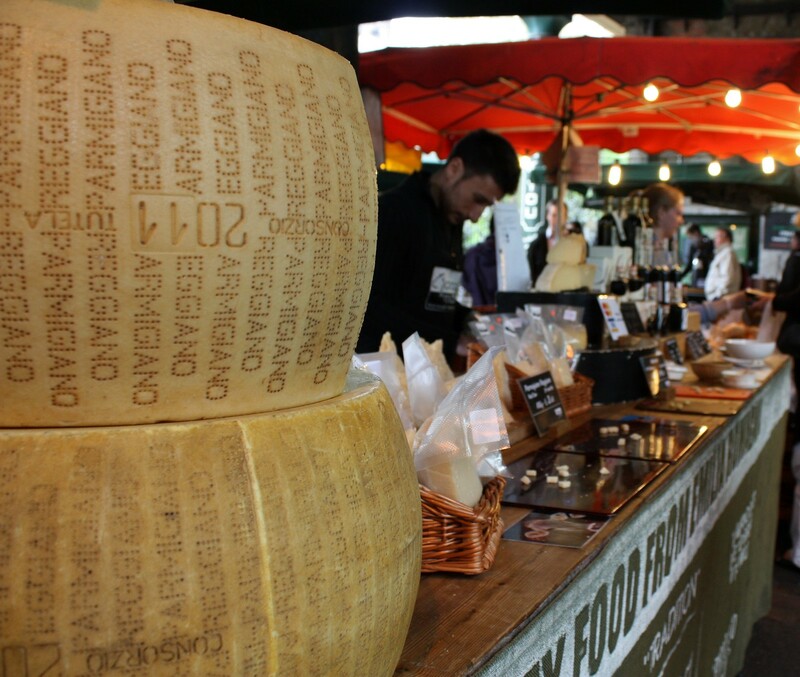 Borough Market has become so popular and hectic at peak times (weekends/lunch). But if you go early, it’ll be less of a crush. 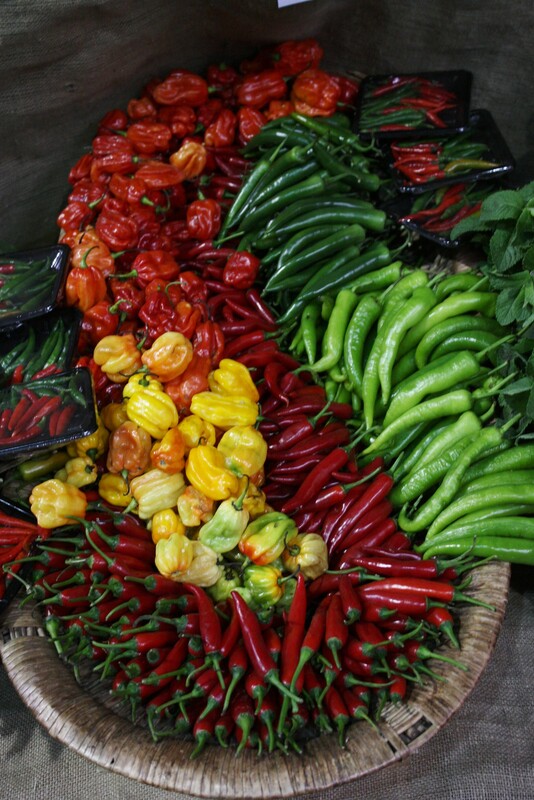 It’s recommended in all the travel guidebooks and there’s a reason for that ~ it’s a fantastic market. 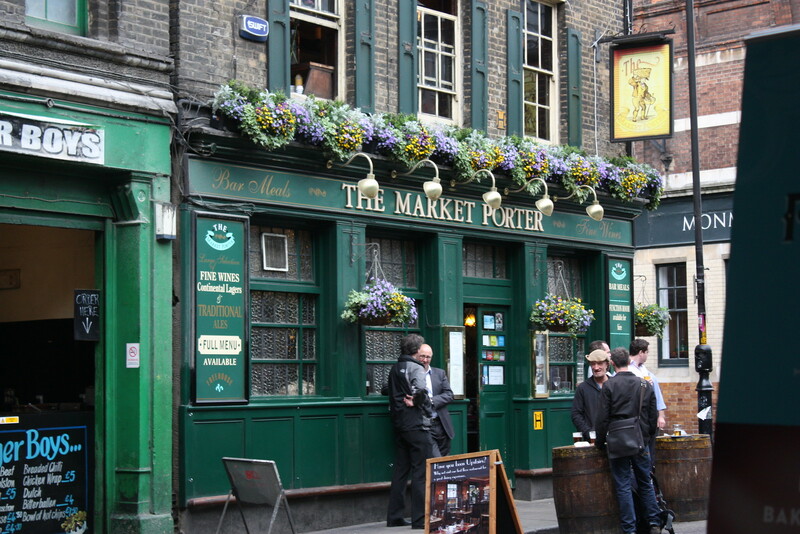 The Market Porter pub always looked so inviting when I went by it but then one day a group of us decided to go in and the stench of urine was overwhelming. We just looked at each other and walked out. I was so disappointed. I still love the look of it from the outside. 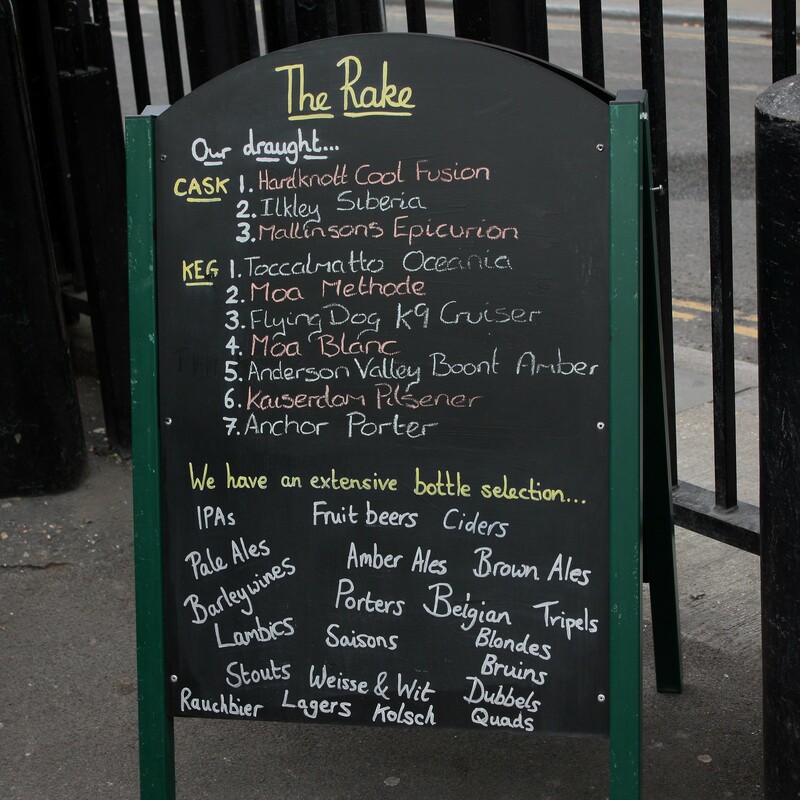 The Rake Pub is a pub I’ve walked past many, many times and every time I would read the extensive beer selection on the sign outside. I seem to always say “next time” but we ended up leaving London before I made good on next time. 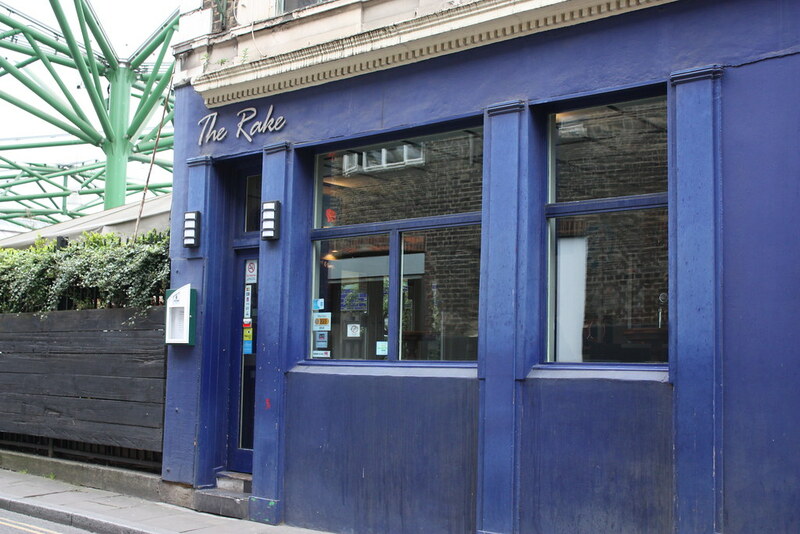 The Rake is known as the smallest pub in London and, because it’s in busy Borough Market, I won’t be going on a Friday or Saturday night when it will be bustling with way too many people. 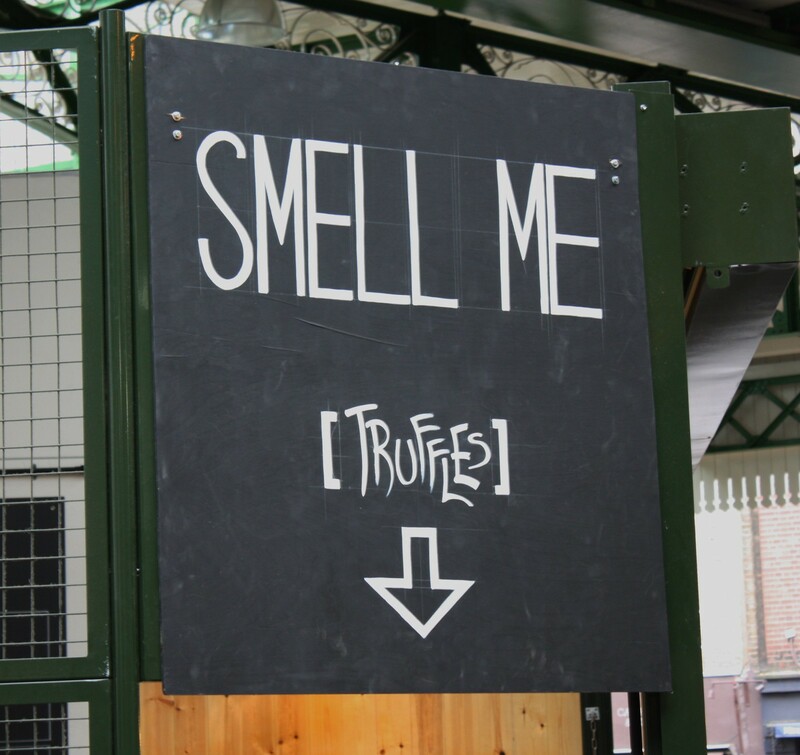 Best to check it out in the afternoon while sitting outdoors watching the market-goers go by. They have 130 beers available ~ the Flying Dog K9 Cruiser looks like the one for me. One of my previous jobs required I prepare itineraries for visiting VIPs. One thing I learned is to always be flexible ~ it’s not a matter of IF things change, but WHEN things change. Only a week into planning our UK trip and the schedule has already been turned around. Due to John’s work constraints, we’ve decided to go to Scotland first then to London. Day One in London will now be John’s graduation event so we’ve only got the morning to ourselves. Sounds like a good day to sleep-in, do laundry (from our week in Scotland) and then enjoy lunch at Maguro, our favorite Japanese restaurant. It’s located in Maida Vale. 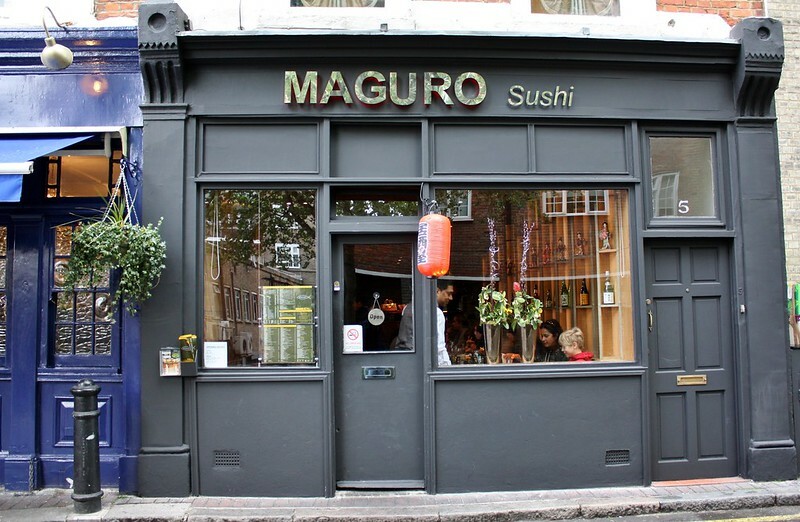 Maguro is located at 5 LANARK PLACE, LONDON W9 1BT, TEL 020 7289 4353 Take the Tube to Warwick Avenue Station (Bakerloo Line) then it’s a short five-minute walk to the restaurant. The restaurant is tiny (!) and I would highly recommended making reservations. 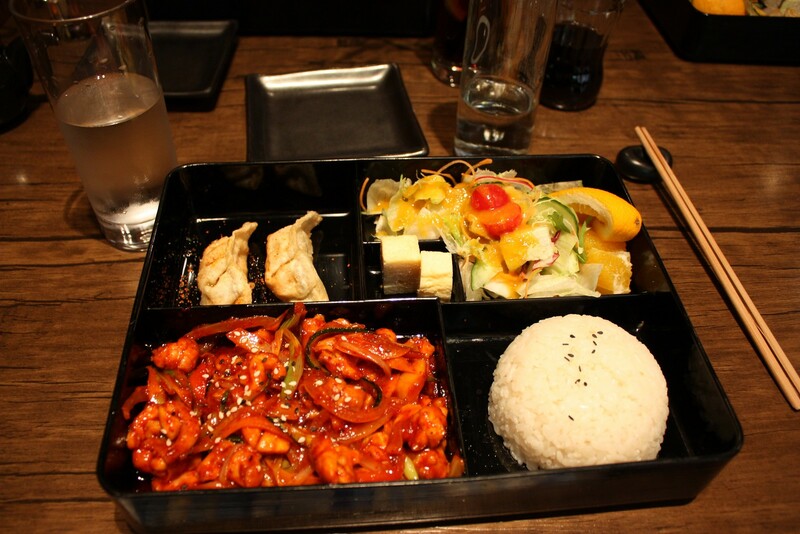 Great food, wonderful service and intimate atmosphere ~ you won’t be disappointed. After lunch, we’ll head to John’s graduation ceremony and then the evening reception which hopefully will be followed with a last round with friends at a local pub. I better make day two a late start as well!! 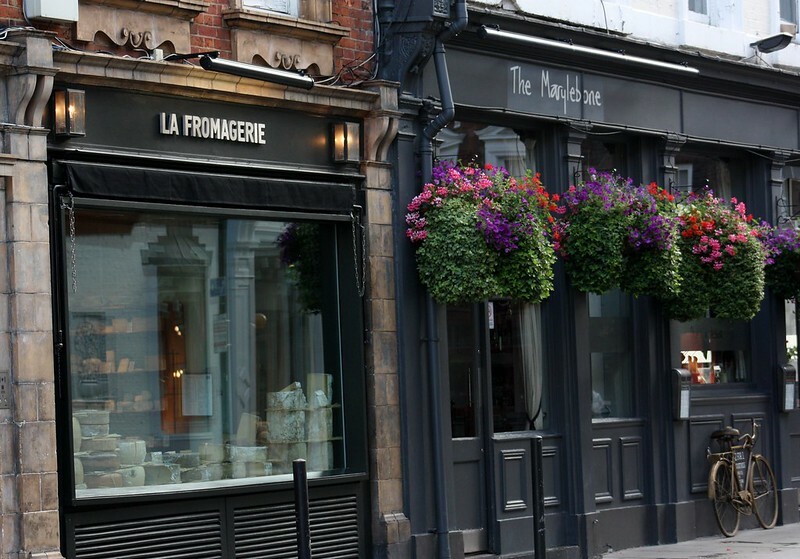 In planning my trip to London, Day Three has to start with a visit to one of my favorite breakfast places in Marylebone, La Formagerie. 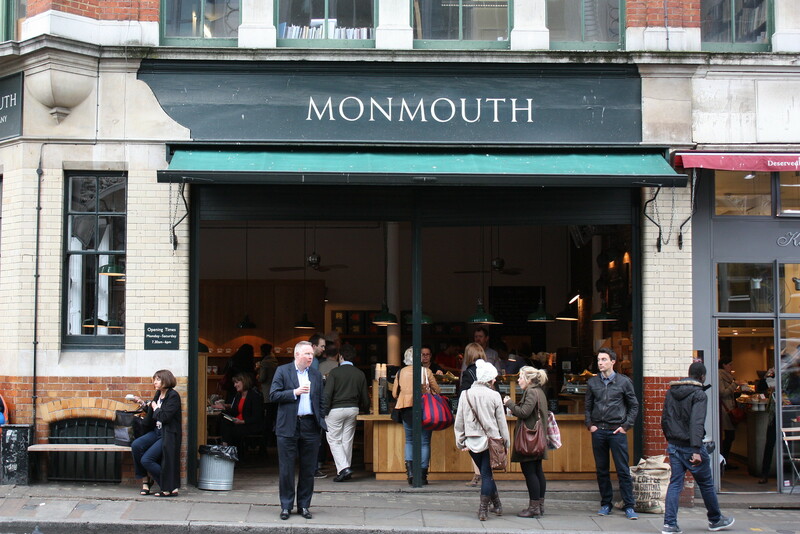 Located at 2-6 Moxon Street (W1), it has an extensive, glass-enclosed cheese room. 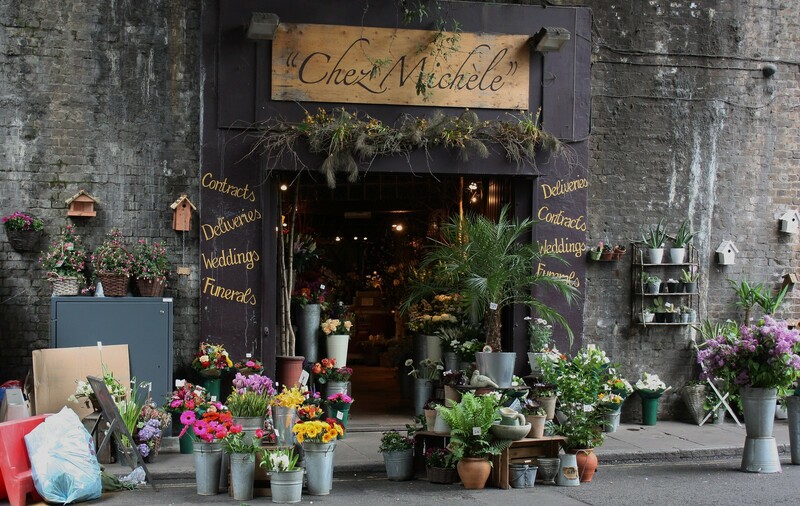 For those non-cheese aficionados, the staff always seemed happy to help with my selections ~ I would tell them what kind of event/other food & wine/number of people and they made excellent recommendations. La Formagerie also serves lunch and dinner (excellent wine list). It’ll be a great way to start our second day. 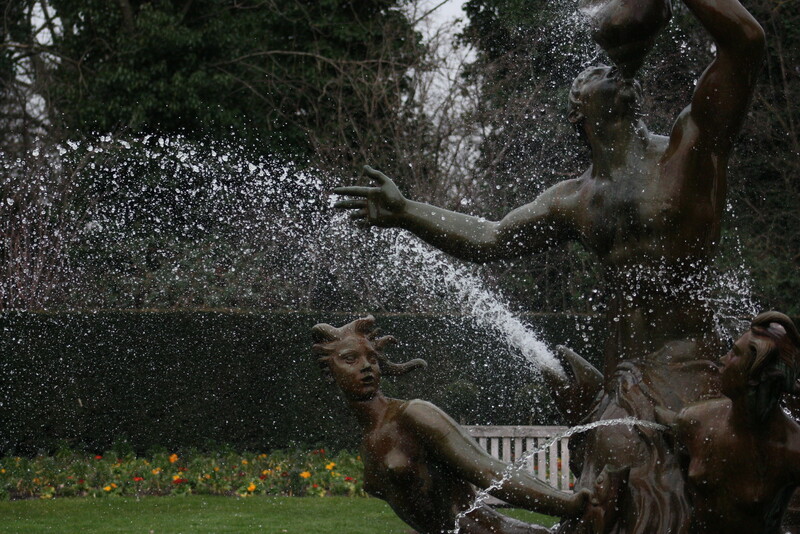 If you decide to go when you’re in London, click here for more details. 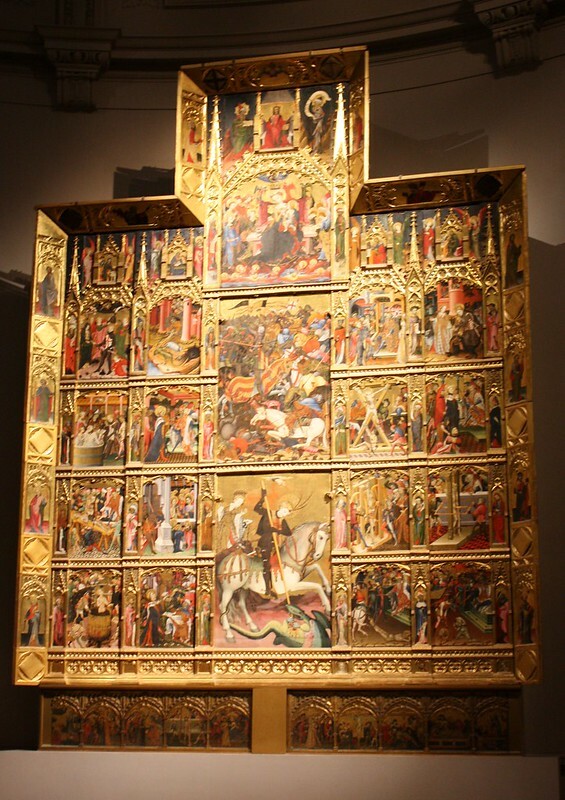 I’m planning to re-visit several museums and attend a play/concert during our stay. Logan didn’t get a chance to see the British Museum which she reminds me frequently ~ it just so happened she was unavailable every time I went. I’m happy to return if just to look at the Rosetta Stone ~ which is near the entrance and the most visited object in the museum. Languages fascinate me and the Rosetta Stone was instrumental in deciphering of hieroglyphs. Think of it as the Google translate of the early 1800s. Entrance to the museum is free so you can go in, see the Rosetta Stone, roam around at your leisure. It would take weeks to see everything so my advice is to check out the museum map and pick a section that interests you. When we go I’m going to take the “Around The World in 90 Minutes” tour. The guides are so informative. 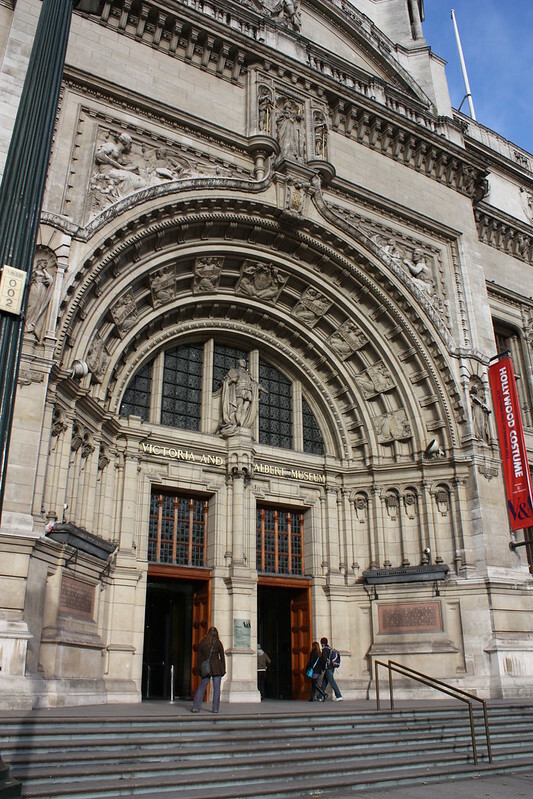 For the afternoon, we’ll wander over to Knightsbridge which has lots of restaurants, parks, and shopping. At night, I’m hoping to attend an event at the Royal Albert Hall. 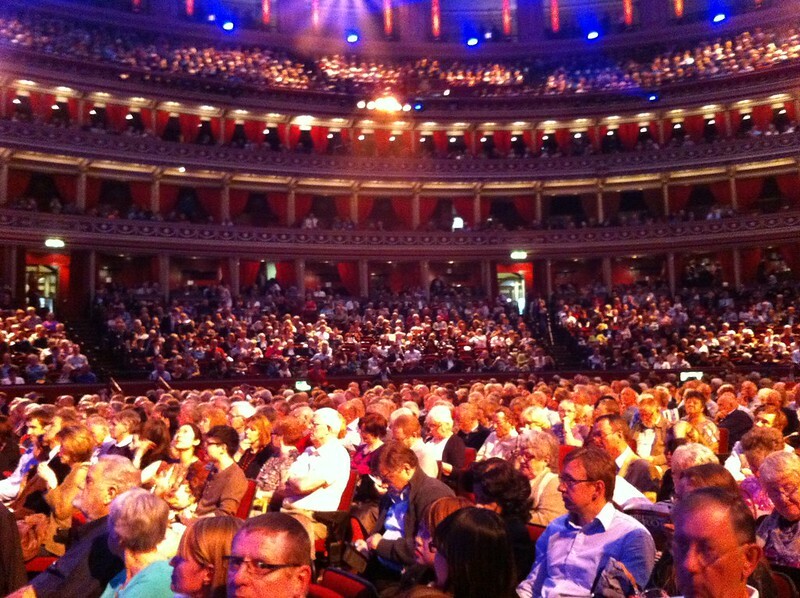 Last year, I was blown away by the 9th annual Symphonic Rock concert we attended at the Royal Albert Hall. The orchestra started with “Bittersweet Symphony” by The Verve which was spectacular and the rest of the concert got better and better. I remember looking around at intermission in awe that I was actually at the famous Albert Hall ~ it must be so surreal for the musicians who get to PERFORM there. The Symphonic Rock is scheduled for May 2014 so we’ll miss it and I’m waiting for the “what’s on” calendar to update for the end of July. I have no doubt whatever we go to will be entertaining.